The Rubbermaid FG639700GRAY broom replacement head has stain-resistant polypropylene bristles that last a long time. The permanent fusion-set bristles will not pull out of the head. 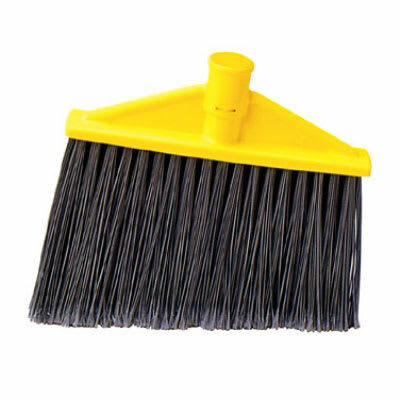 It has a 10.5-inch sweep face, and the bristles have an angled cut for convenient sweeping in hard-to-reach areas. To learn more about brooms, check out our floor maintenance guide.